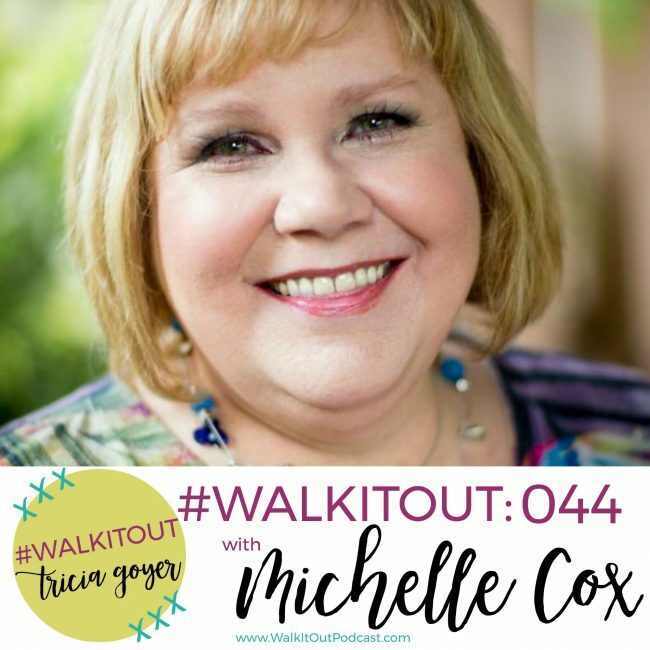 On today’s episode of #WalkItOut Podcast, we welcome guest Michelle Cox! In today’s episode, we’re welcoming my friend Michelle Cox. I have been writing books since 1994 — or dreaming about writing books since 1994. It took me 5 years before I got a book contract, and along the way, I have met so many great authors. It’s so fun to hear the journeys God has taken them on. Not one of them has had a straight path. Every journey is filled with twist and turns. But, out of all the journey stories I know, I think you’ll be most blown away by the stories from Michelle Cox in this episode. I love how Michelle tells us that she never saw this as part of her story. She never planned on being a writer, yet God put these opportunities in her life and open doors. I know you are going love getting to know Michelle in this episode. You can listen above or on iTunes! I’d love it if you shared with your friends! I pray, Lord, for the listener out there that feels like they may be overlooked. That you are taking care of everyone else, but not them. I pray, Lord, that you will wrap your arms around them and comfort them today. May they see your hand in so many things, and may they know they can trust you. If there are areas where they need to step out in faith, I pray that they do that and find you there.